Good Shepherd United Methodist Church - Indianapolis, IN: Home: What does it mean to be saved? The phrase "being saved" in the Christian tradition carries with it the obvious assumption that someone is in need of rescuing. It implies that one needs to be freed from imminent danger; that a life is imperiled; that dreams, hopes, and aspirations are all very near to being lost. Being saved in the Christian faith is really a two-part experience: being saved from something and being saved to something. To be saved means turning away from a life that is without God, that is focused solely upon ourselves. It means giving up the obsession with our needs, our wants, our pleasures, our comforts, our importance, our egos and our power. If my world is nothing but me, then no one else, including God, is likely to get in. Being saved from me, also means being saved from destructive patterns of life -- things that destroy us instead of build us up. Some of those common destructive elements (which God calls sin) are alcohol, drugs, sexual misuse and abuse, intolerance, lust for power, pursuit of money at the expense of others, and so forth. Involvement in such patterns usually comes from a need to fill a void in life, to cover a feeling of inadequacy. Being saved means that we have awakened to the wondrous opportunities to share each day with our brothers and sisters and see what God is doing in our lives together. Most people who are rescued begin to evaluate their lives, take stock, and find ways to improve their lives; it is a wake-up call. 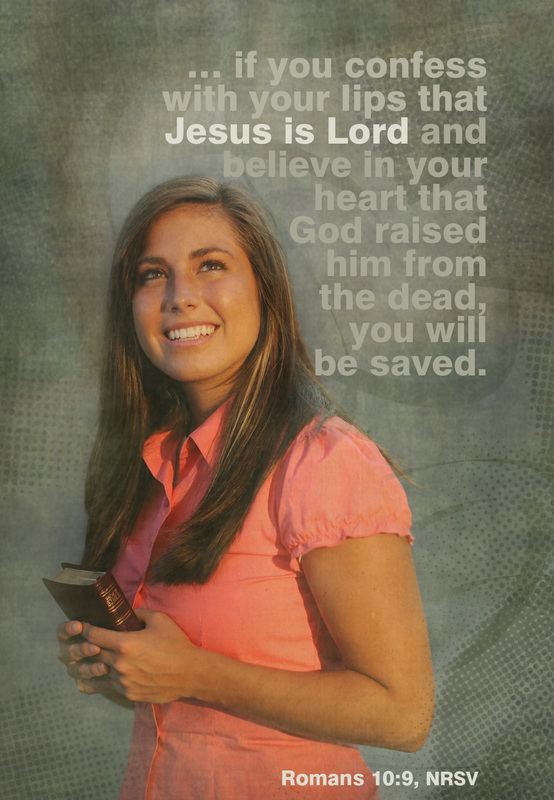 We believe that being saved is, in essence, God's wake-up call to us.